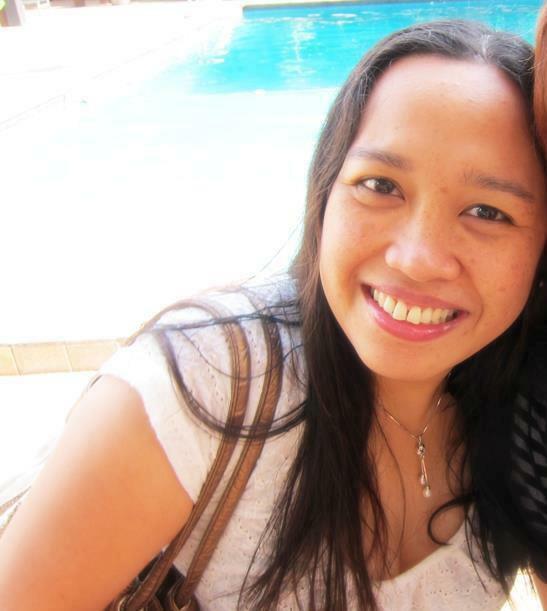 I am going back to Saigon! The first time I went was in May 2009 for six days. Mostly I had meetings and consultations so I did not have enough time to go around. This time, I swear things would be better. 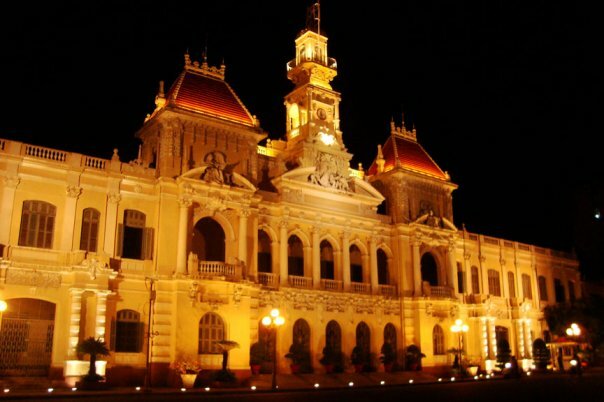 Saigon is a lovely city, so full of history and a people eager to please. Looking at the pictures in their War Museum, I could not help but feel admiration for this country who has managed to thwart enemy forces for over 20 years. 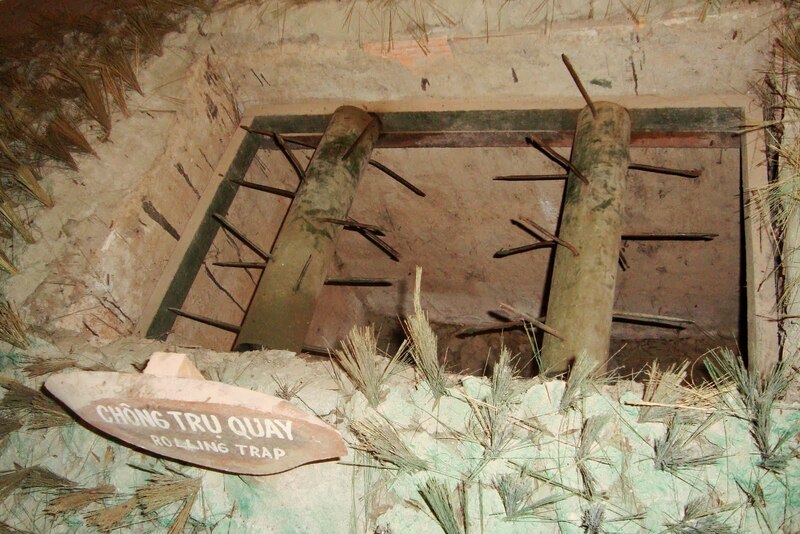 They showed amazing creativity in making the Cu Chi tunnels, and exhibited great determination not to surrender despite massacres of innocent civilians, villages decimated, and countless women and children whose lives have been destroyed by Agent Orange. 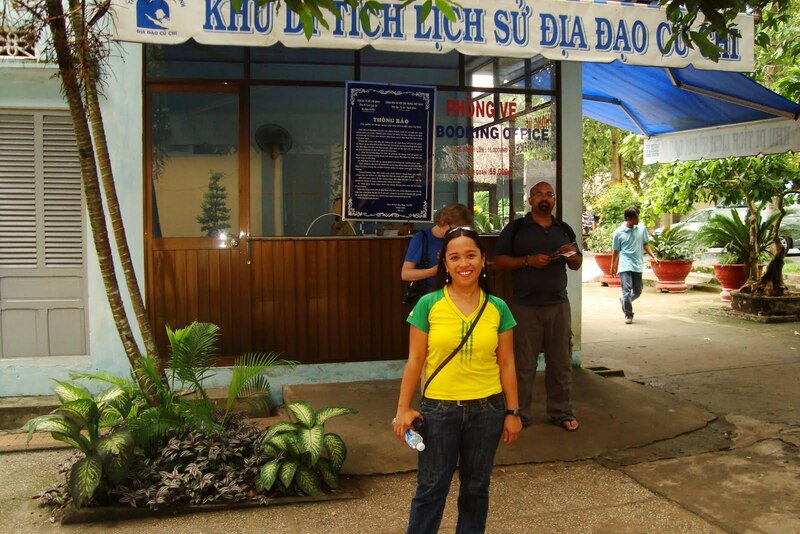 At the ticket booth to the Cu Chi tunnels. A tourist tries out an entrance to the tunnels. A lot of enemies have fallen through this trap. I arrived in Saigon via Cebu Pacific at a little past midnight. Rikke, a Danish volunteer, told me she would meet me at the airport, but I did not expect the hotel owner, Chi Hong, to come with her as well. The Vietnamese in general go to bed early. At 7pm, for example, you would find the whole family getting ready to sleep. In any case, they took me to Chi Hong’s (pronounced Chi Haum) hostel in District 3. I had a very pleasant room, with a double bed, air-conditioner, own bathroom with shower, and wifi. There was a television too, but as I did not (and still do not) speak Vietnamese I did not use it. 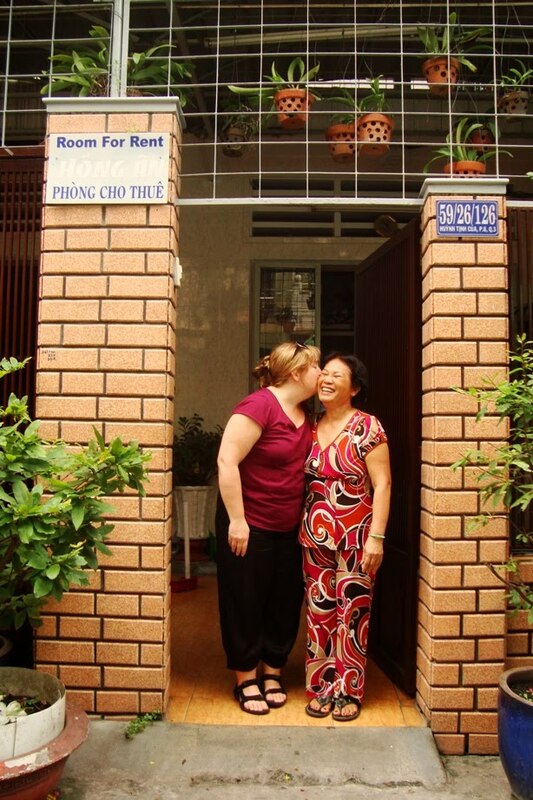 Rikke thanks Chi Hong, the hotel owner. My room, with the welcome toiletries consisting of Colgate toothbrush and toothpaste, and a bar of soap (Dove). For only 15USD/day, it was certainly worth it! 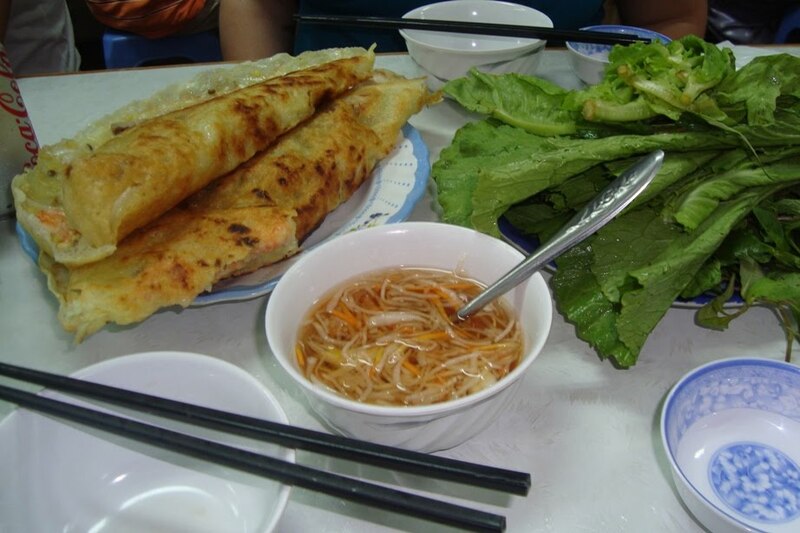 A huge banh xeo–a must/eat when you are in Saigon! This is, of course, my favorite. The ever-present ca phe sau da, which can be bought anywhere and any time. In between meetings, I walked around and visited landmarks, bought a lot of stuff at the Benh Thanh Market, and generally acted like a tourist. Their Reunification Hall looks magnificent, and the opulence of its rooms reminded me of the wasteful extravagance of Imelda Marcos amidst the poverty of Filipinos. The wonderful Notre Dame Cathedral in the center of the city. The People’s Committee Building at night. 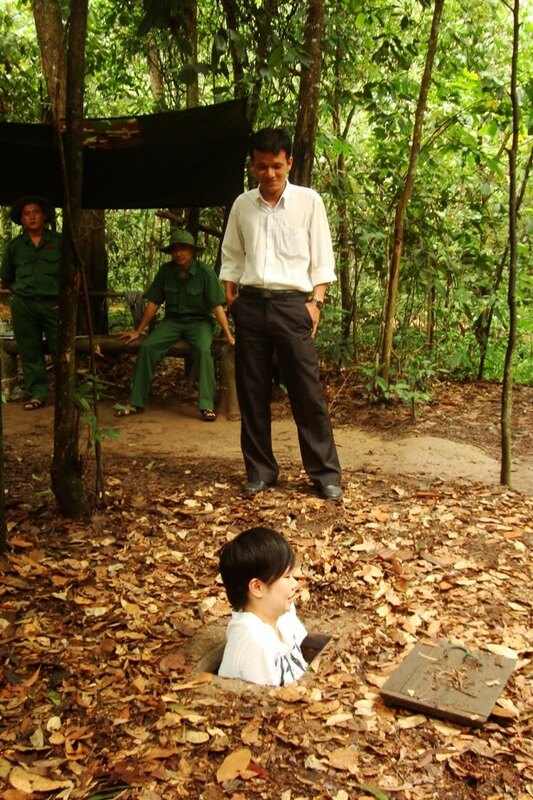 However, what I loved most about Saigon are its people. 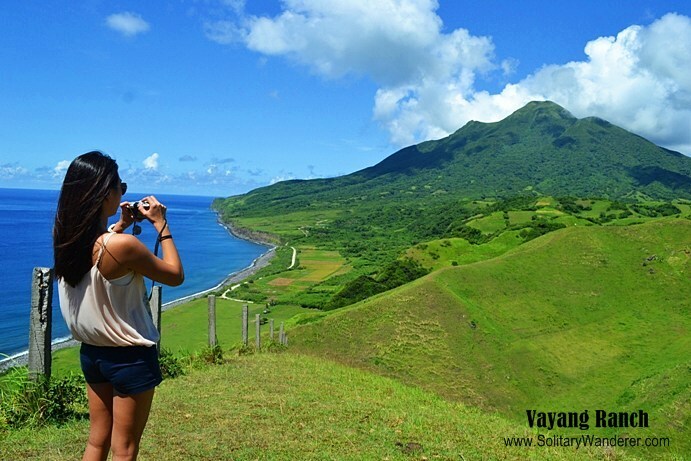 They are a bit short and small-boned (unlike in the Philippines, I am considered of average height there), very friendly, and they oftentimes go out of their way to please visitors (very much like the Filipinos!). 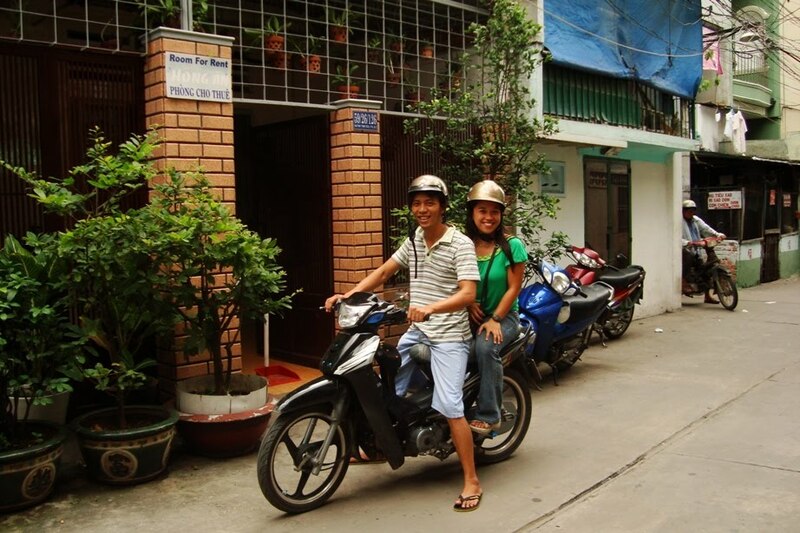 My motorcycle taxi driver. 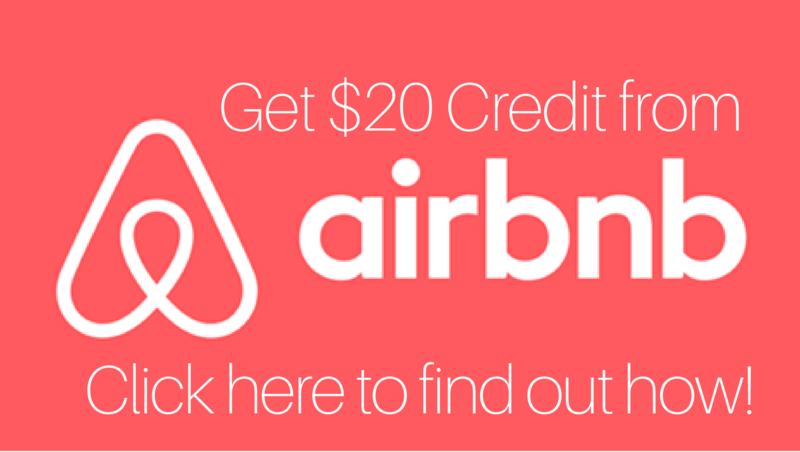 One ride usually costs 30,000VND (around 80PhP). 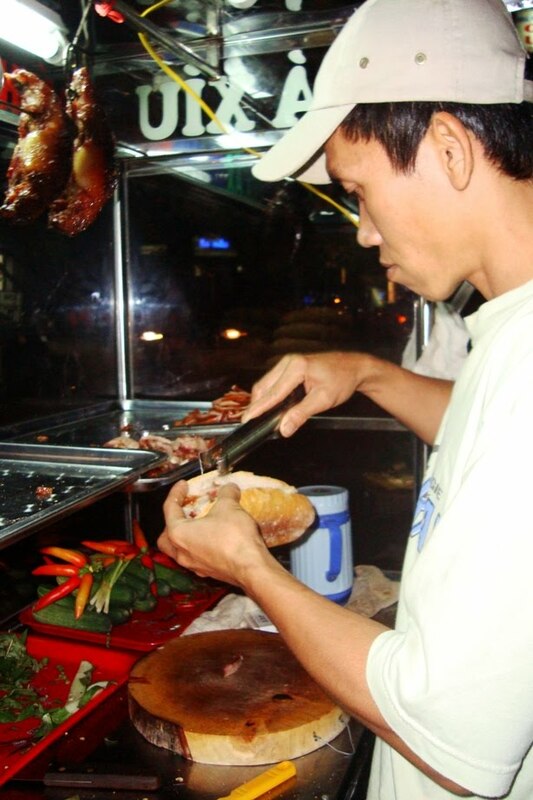 A banh mi (a kind of sandwich) sidewalk vendor prepares my food with bare hands. It was delicious! 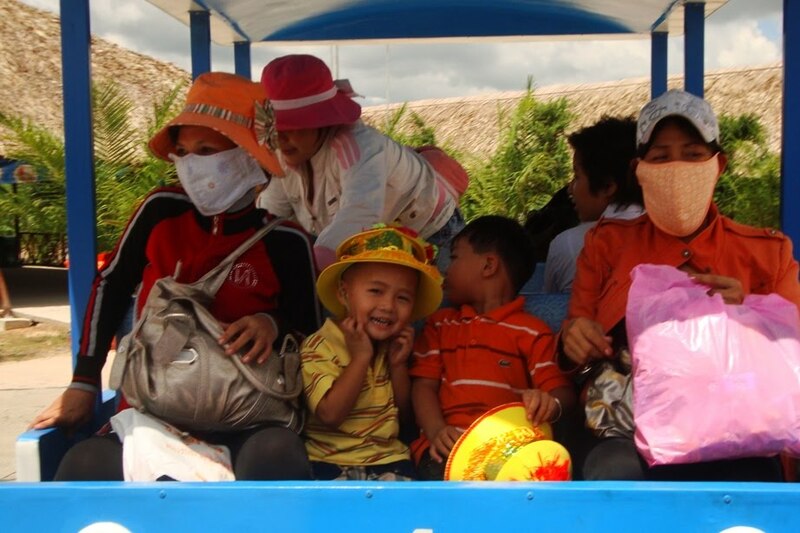 Vietnamese women value having fair skin so much that they wear a hat, jacket, long pants, and masks before going out of the house, however hot it is. 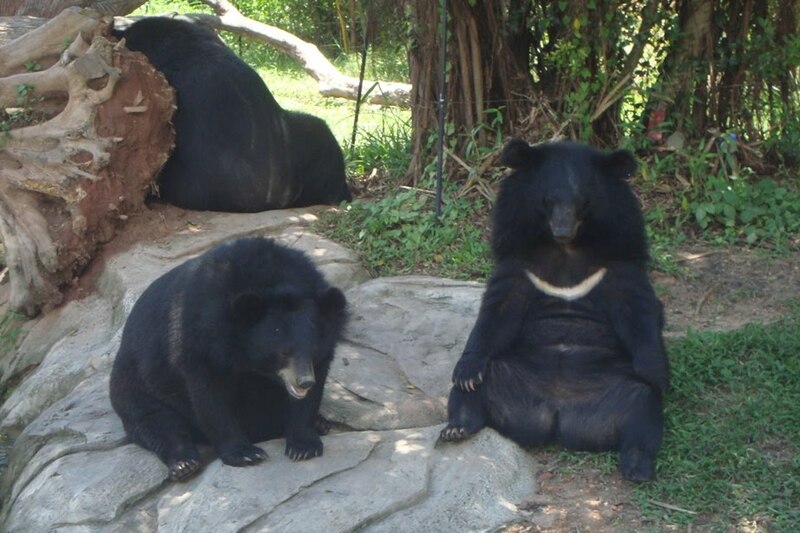 In this picture, taken at the Dai Nam Amusement Park, it was over 30 degrees Celsius. 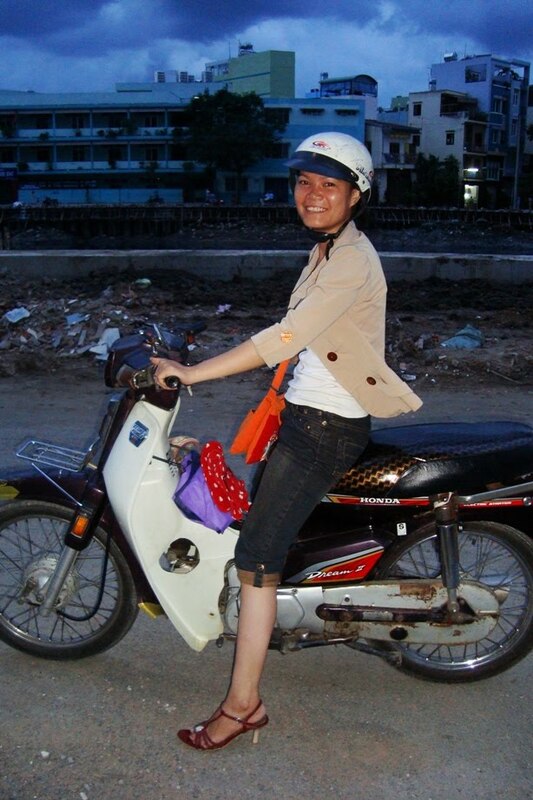 A young Vietnamese woman on her motorbike. A bride poses outside the Notre Dame Cathedral. With my flight to Saigon a few days away, I can’t wait to see what else the city could offer! If 15USD for daily accommodation is too much, one can always go to the backpacker district (District 1). Rooms there could cost as low as 5USD per day. Around the district, there are a lot of shops selling souvenir items at really low prices. Bars and restaurants are also spread around (do not be surprised to see chairs outside these establishments arranged to face the streets. I don’t know why.). 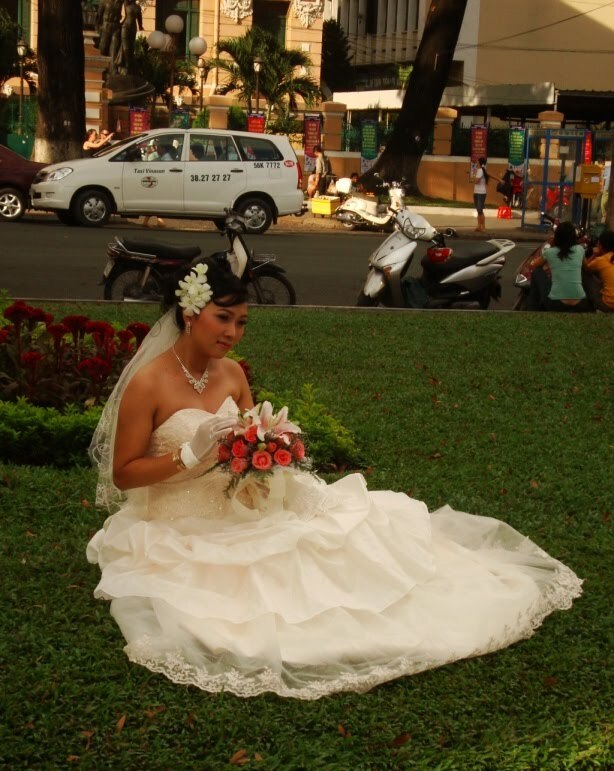 There are a lot of things that one can buy in Saigon. 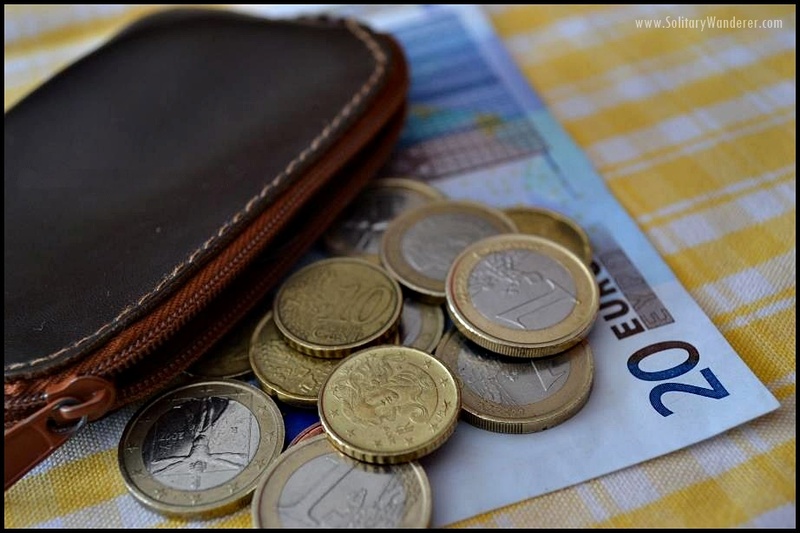 One’s 200USD is already equivalent to 3.5million VND. You can go to Benh Thanh or Binh Tay markets and Saigon Square for mountaineering bags (TNF, Deuter) and other branded items. There are a lot of fakes, though, so you must know how to determine if it is the real thing. For people interested in the Chinese culture, there is a huge Chinatown (Cholon) in Saigon, which can take you the whole day alone to walk around in. There are also some nice Taoist temples near the city center. 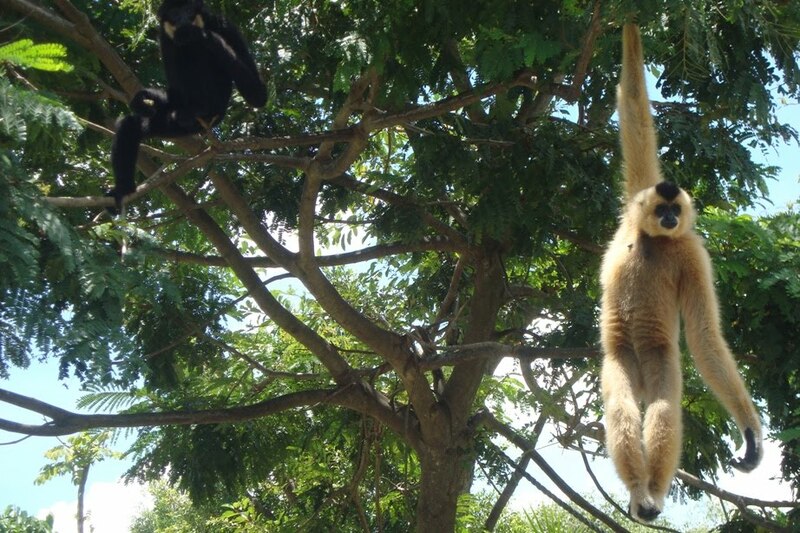 A two-hour drive from Saigon will take you to the Dai Nam amusement park, with rides and a huge zoo. I heard it called an amusement park for Buddhists, though I did not have any idea why. 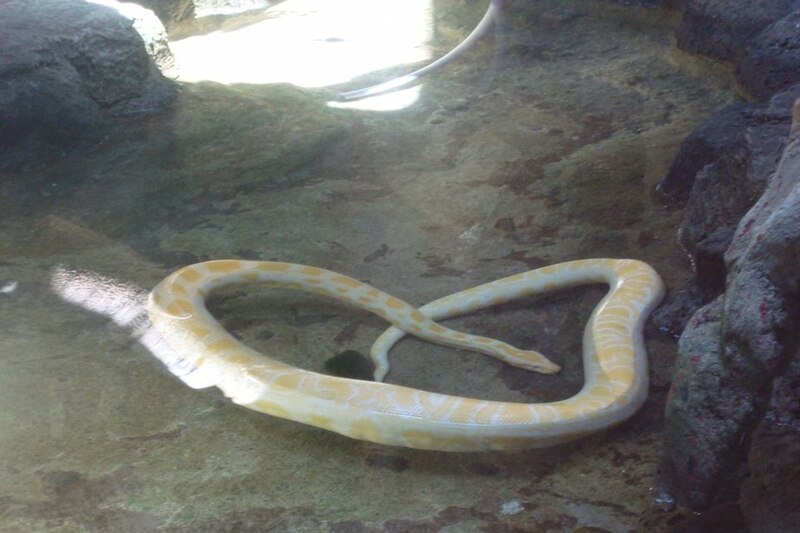 The animals were given a big space to move around, so it is not like the cramped conditions of zoos in the Philippines. 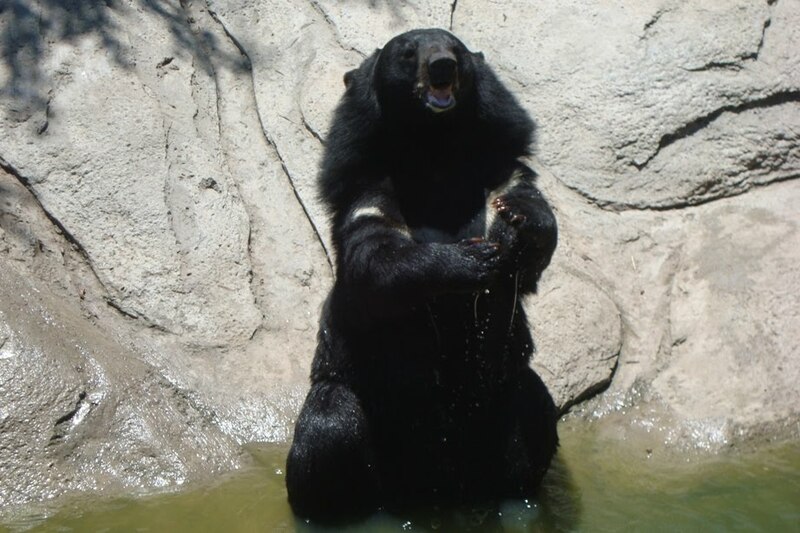 …while a bear tries to show off by showing he can clap. 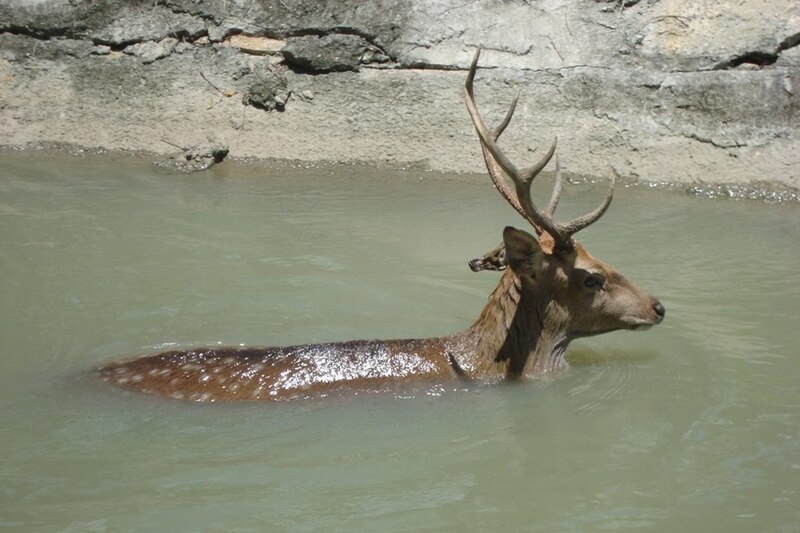 …and a deer cools off. 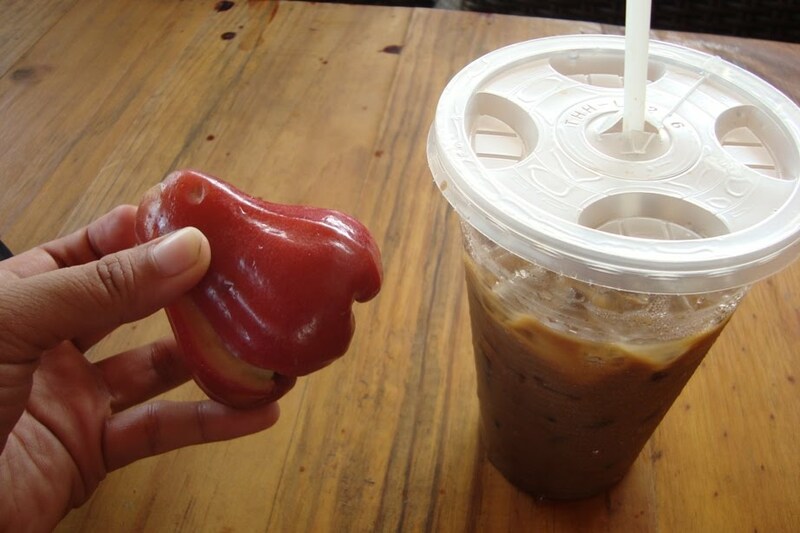 For day trips and tours in and around Saigon, you can go to Sinh Café in the backpacker district. 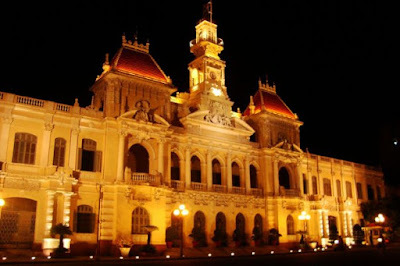 They have arranged tours to all the major sites in Vietnam, including Nha Trang and Mui Ne (wonderful beaches), Hue, Hanoi, and even a homestay with a family in the Mekong Delta. Hi, what is the name of the hostel where you stayed at? The meals are included? I’d love to have a contact for when I visit in a few months. Wow, I love all the photos of food posted here. 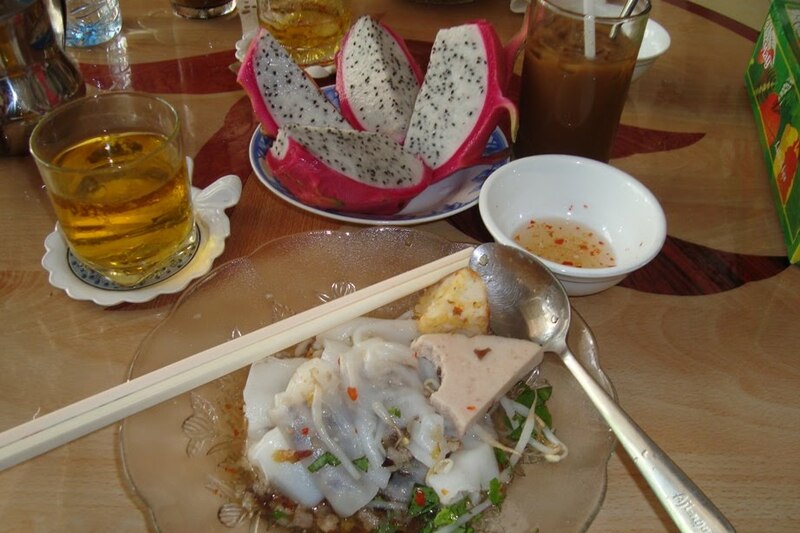 In the first photo there is “Banh cuon” (Steamed rice) with dragon fruit. 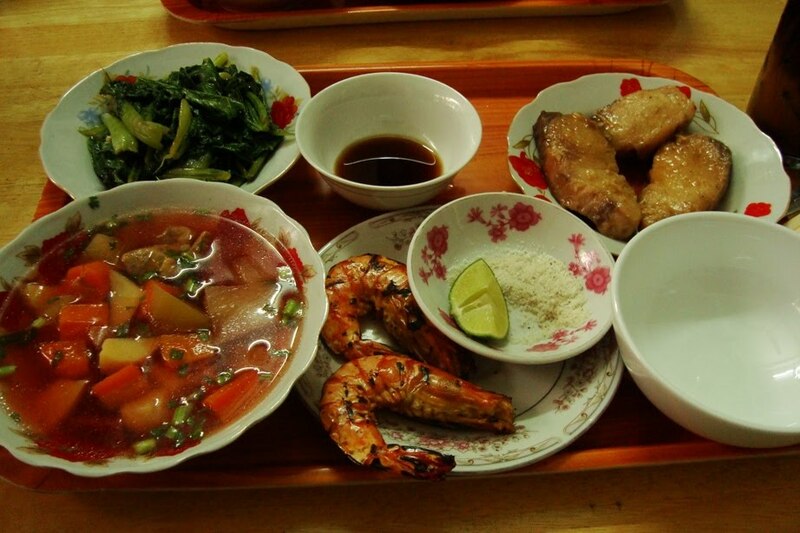 The second photo is somehow the traditional meal in Vietnam, we eat rice with shrimp, fish, sauteed vegetables and soup. Yeah, the third one is “banh xeo” yummy 🙂 The last one is “Ca phe sua da”, I suppose it is you who is holding a plum. 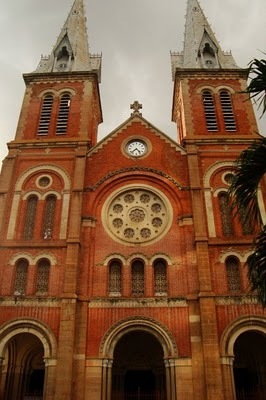 Thanks for your interest in Saigon, and hope you will come back to Saigon in the future. Have a nice day, Aleah. @ Ron: IKR? I really miss the food in Saigon! i can smell the food from here… drooool! Wow, for $15, that's super great value na ha, specially with wifi and aircon! I'm definitely keeping this in mind when I go to Saigon this year! Wish I could go, too.